The Armenian genocide was one of the greatest atrocities of the twentieth century, an episode in which up to 1.5 million Armenians lost their lives. In this major new history, Raymond Kevorkian provides a long-awaited authoritative account of the origins, events and consequences of the years 1915 and 1916. The author explains and analyzes the debates that occurred within the elite circles of the Young Turks, and traces the roots of the violence that would be raged upon the Ottoman Armenians. 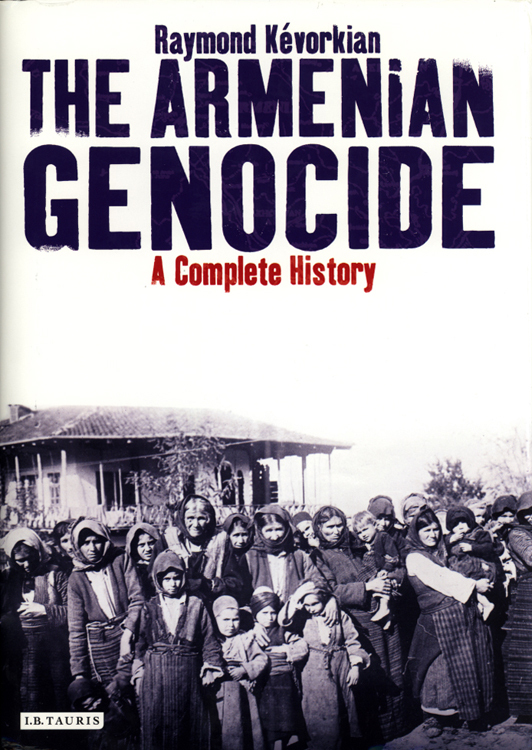 Uniquely, this is also a geographical account of the Armenian genocide, documenting its course, region by region, and including a complete account of the deportations, massacres and resistance that occurred. Kevorkian considers the role that the Armenian genocide played in the construction of the Turkish nation state and Turkish identity. He also explores the ideologies of power, rule and state violence and contributes to the understanding of how such destruction could have occurred. Thus, this book examines the history of the Young Turks and the Armenians in the Ottoman Empire as they came into conflict with one another, taking into consideration the institutional, political, social and even psychological mechanisms that culminated in the destruction of the Ottoman Armenians. Beginning with an exploration of the origins of the Young Turk Revolution in 1908, Kevorkian analyzes the decision-making process that led to the terrible fate of those who were deported to the concentration camps in Aleppo and along the Euphrates. Crucially, The Armenian Genocide also examines the consequences of the violence against the Armenians, the implications of the expropriation of property and assets, and the deportations. This covers the documents from the Mazhar Governmental Commission of Inquiry, the formation of courts-martial by the Ottoman authorities, and the findings of the March 1920 Committee for the Protection of the Minorities in Turkey. Kevorkian offers a detailed and meticulous account of the Armenian genocide, providing an authoritative analysis of the events and their impact upon the Armenian community itself, as well as the development of the Turkish state. This important book will serve as an indispensable resource both for historians of the period and for those wishing to understand the history of genocidal violence more generally.